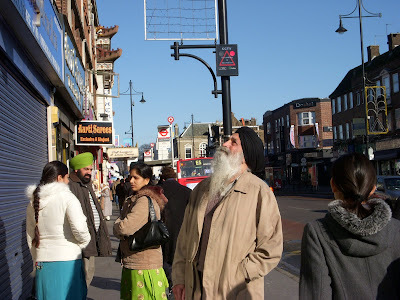 We went to Southall – a South Asian residential district in West London. Indian stores line the streets of this area… from Indian garments to jewelry, to Bollywood CD’s & DVD’s to quaint little restaurants. Mum and I were surprised that stores only opened at 11am, so we spent nearly an hour just window browsing. 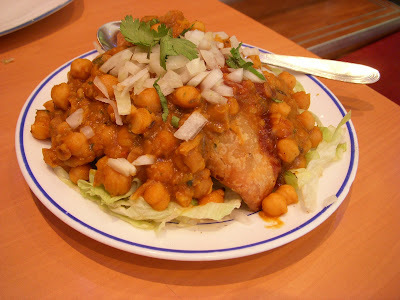 We had a bite to eat at a restaurant called Chandni Chowk. If you’re an avid Bollwyood follower, you’ll know that this term is often used in films. Chandni Chowk is actually one of the oldest and busiest markets in Delhi. 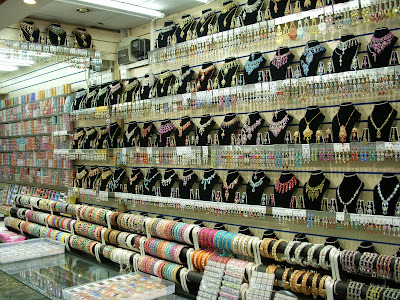 We weren’t really tempted to buy much in Southall (it’s not like we were seeing anything new…) but I just bought a few bindi’s and a Bollywood CD. After lunch, we moved into a hotel in Kings Cross with most places within a decent distance.